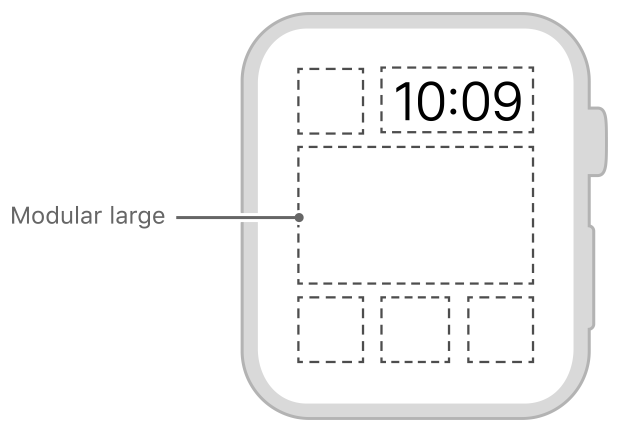 A large rectangular area used in the Modular clock face. The following figure shows the size and location of the modular large complication. A small square area used in the Modular clock face.